It’s still birthday month here on Cakeyboi, so I though I would use up the leftover vanilla cake mix I used for my Birthday Cake BatterBark. I have made many versions of Rice Krispie Treats over the past year, so naturally I thought a Birthday Cake version of these was called for. I actually read in my Food Network magazine recently that the hottest new flavour in snack-world is Birthday Cake. Loads of ice-creams and sweets are coming out with this new flavour variety in the US. Not sure it will catch on here in the UK however. And no one seems to know exactly what Birthday Cake flavour is(?) Well, to me it’s vanilla cake with coloured sprinkles! 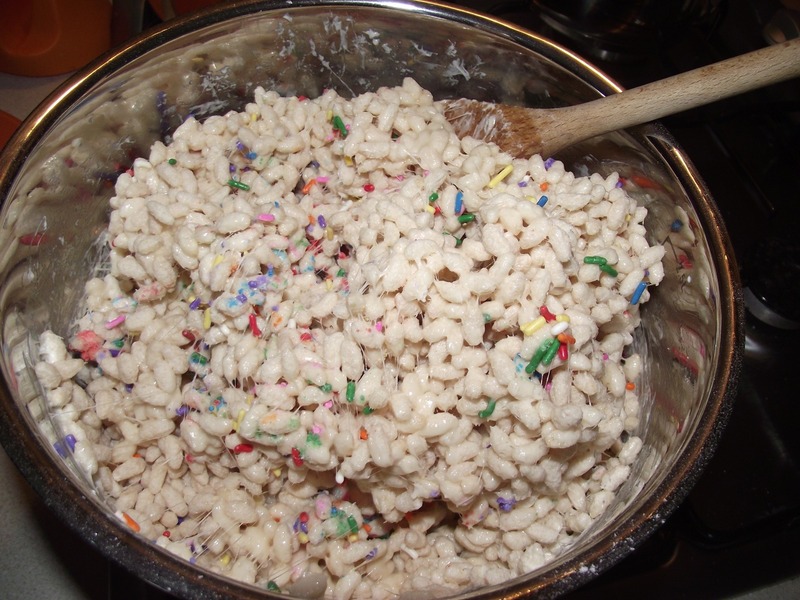 These rice krispie treats are simple, as always, to make. Prepare a 9”x13” baking pan by lightly greasing. Melt the butter in a really large saucepan, then add the marshmallows, stirring until they are melted. Remove from the heat and add the cake mix, stirring through the mallows. 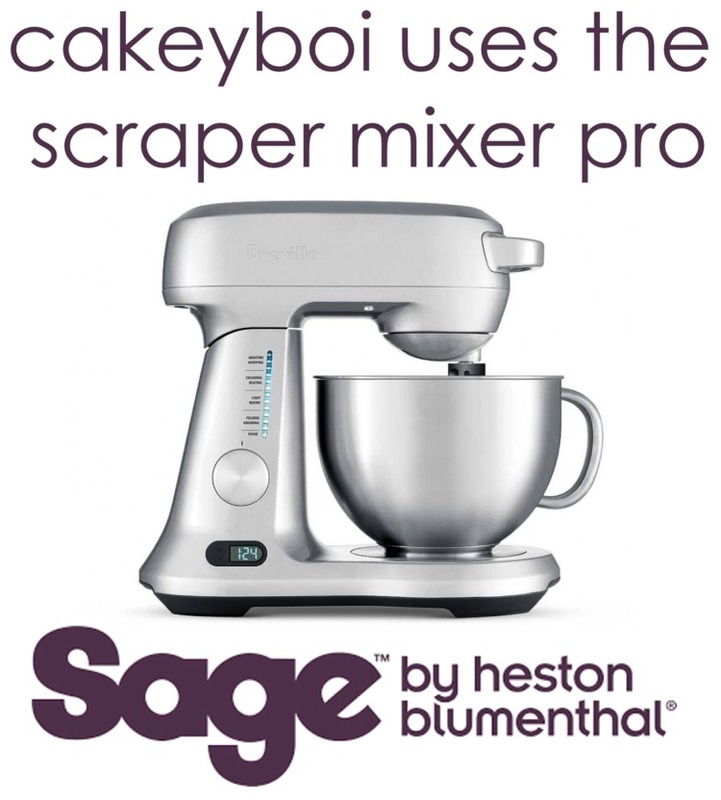 Add the rice krispies and mix through with a wooden spoon. 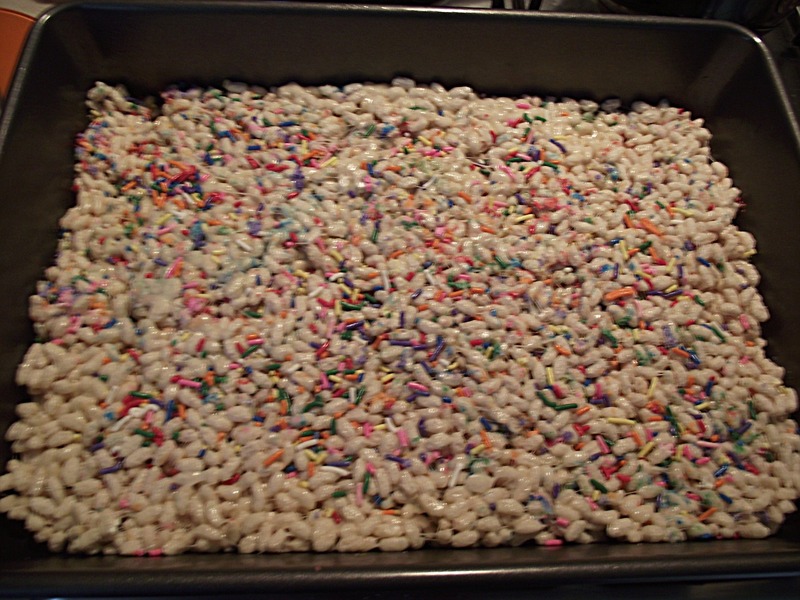 Lastly add the sprinkles and mix through. Transfer to the baking pan and smooth over until they are level. Allow to set, at least 2 hours. When set, remove from the pan and cut into squares. They taste of cake and sprinkles. 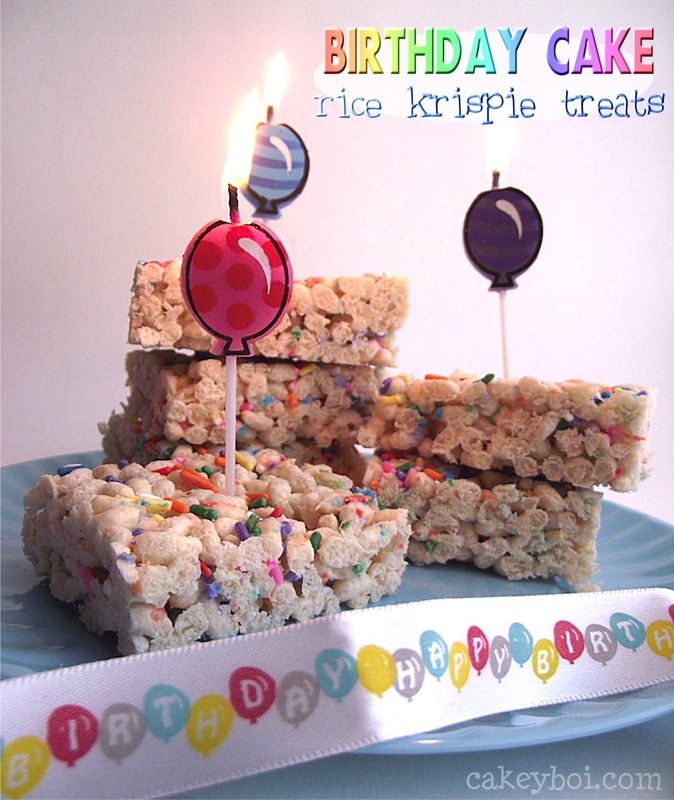 Perfect rice krispie treats for a party celebration!